AVANTech has extensive experience in the design, fabrication and operation of water and wastewater treatment equipment, for industrial, commercial and government clients. This includes providing cost effective solutions for our clients in meeting their process and regulatory commitments. Our multi-disciplinary staff includes all areas of chemical, mechanical, electrical and nuclear engineering. Our engineering, fabrication and operational activities are implemented in accordance with the company’s ASME NQA-1 Quality Assurance Program. AVANTech's custom system meet the rigorous standards of our nuclear energy clients. We consistently apply that same technical expertise and creativity to transform ideas into highly practical and effective solutions for all of our projects—solutions that meet and/or exceed specification, at the lowest possible cost of ownership. 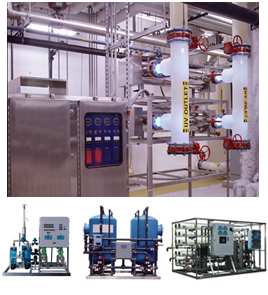 AVANTech's water treatment equipment is designed, fabricated and tested based on our operating experience and recognized standards from the American Water Works Association, American Society of Mechanical Engineers, Military Standards, and other industry organizations. All system components are pre-assembled and tested at our manufacturing facilities to confirm operation prior to installation.